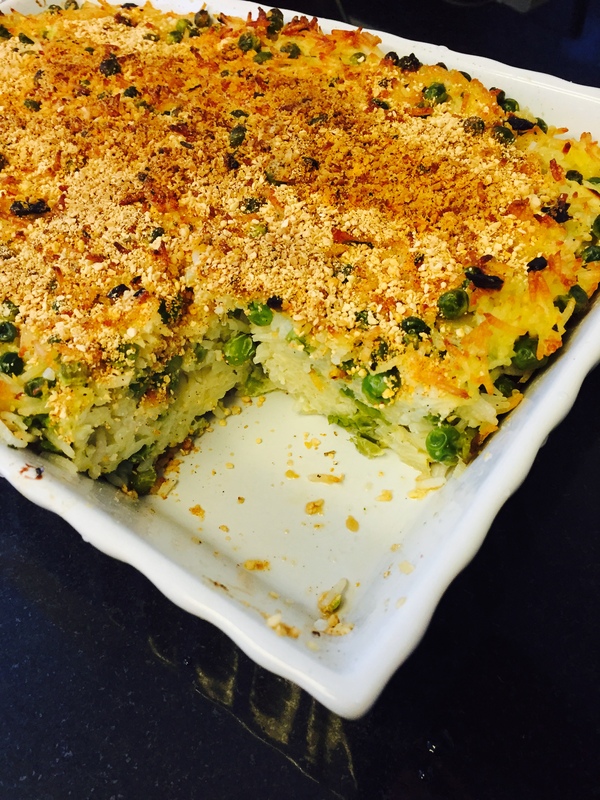 Peas and Rice gratin | The Bee's Kitchen: Tasty. Home. Cooking. 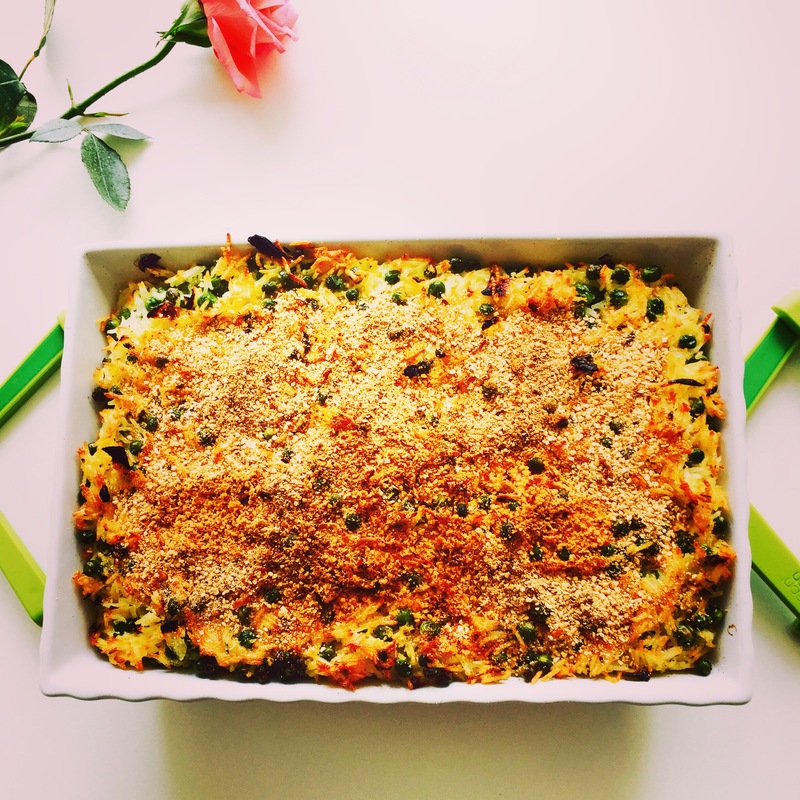 I was looking for easy and healthy side dish to go along with dinner tonight and decided to make a peas and rice cheese gratin. Heat oven to 400 degrees. Heat up olive oil in a large pan and add the diced onions. Cook until the onions are soft and add peas, rice, salt, pepper and parsley. Cook for about 8 minutes. Adjust seasoning if necessary. Beat the eggs in a separate bowl. Pour them into the cheese and the peas and rice mix. Bake for 20min. Put the bread crumbs on top, bake for an additional 10min. Add shredded parmesan on top and cook on broil for 2min.